Simply beautiful. All underground utilities keep this subdivision looking pristine. 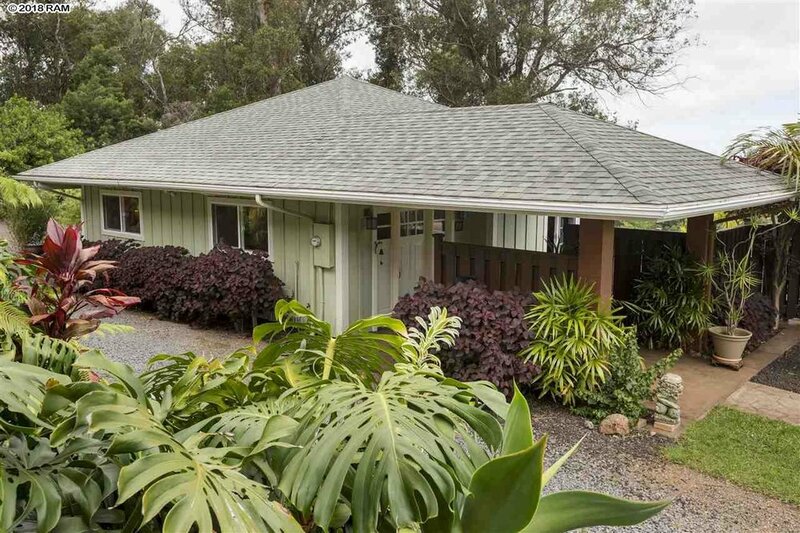 This single story, 2 bedroom, 1 bath cottage sits on 2.4 acres of grassy landscape and private gulch. All underground utilities keep this subdivision looking pristine. As you enter the property at the end of the cul-de-sac, you can't help but feel something special. The land, the trees and the gardens stimulate your senses. The property is all set up for a private main home below. 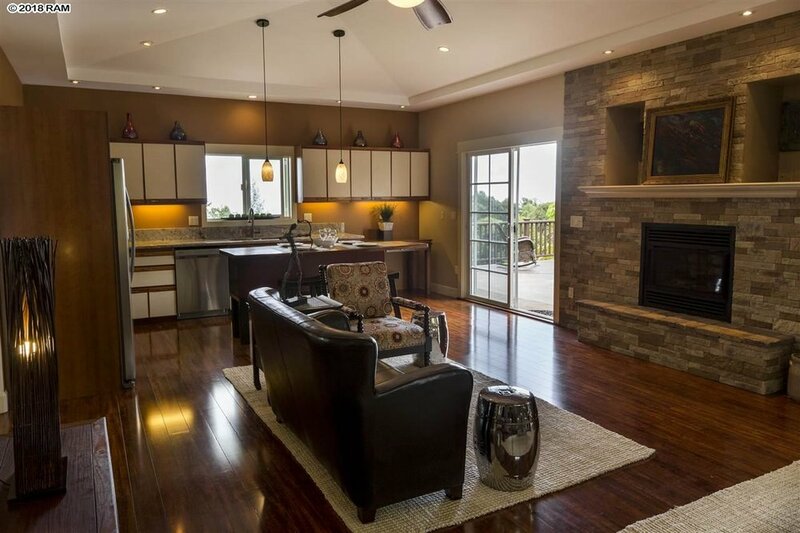 The focal point in the spacious great room is the stone gas fireplace. 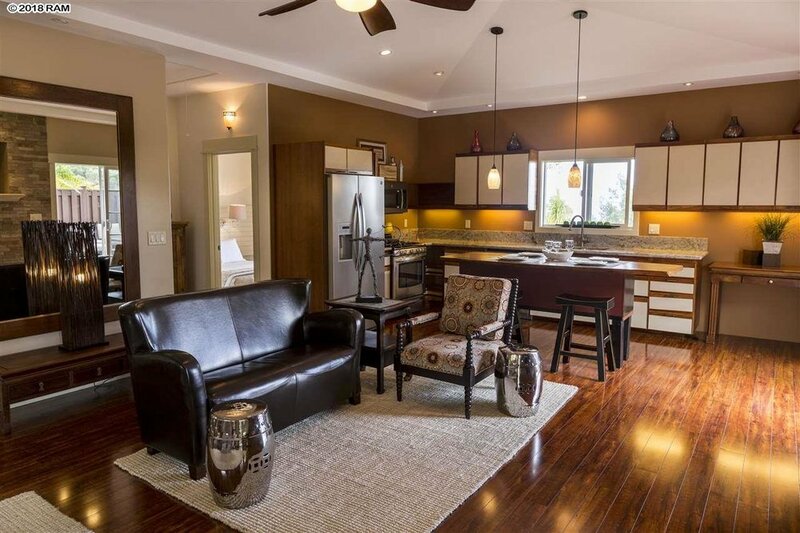 The lovely floor plan was designed with an open kitchen, dining and living room. There is a nice sizable patio for outside entertaining that is accessible from both the dining area and front entrance. 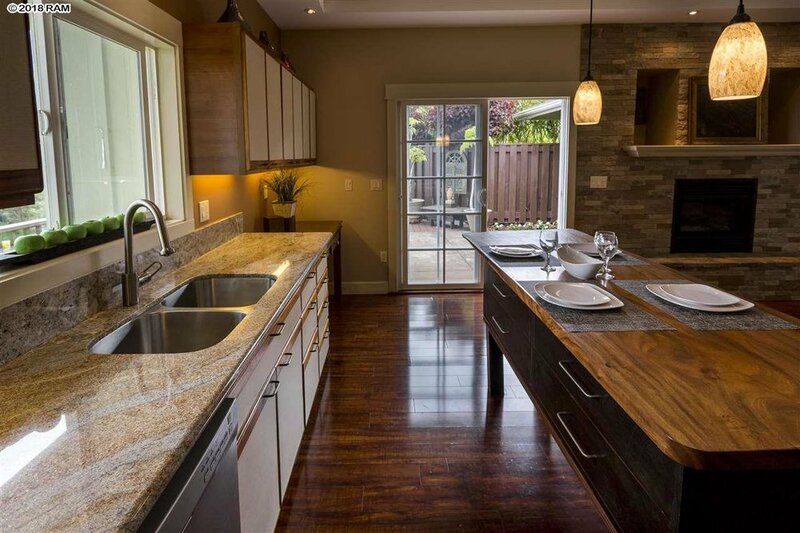 The kitchen features a solid monkeypod bar, gas stove and granite counters. There is an on demand gas water heater. 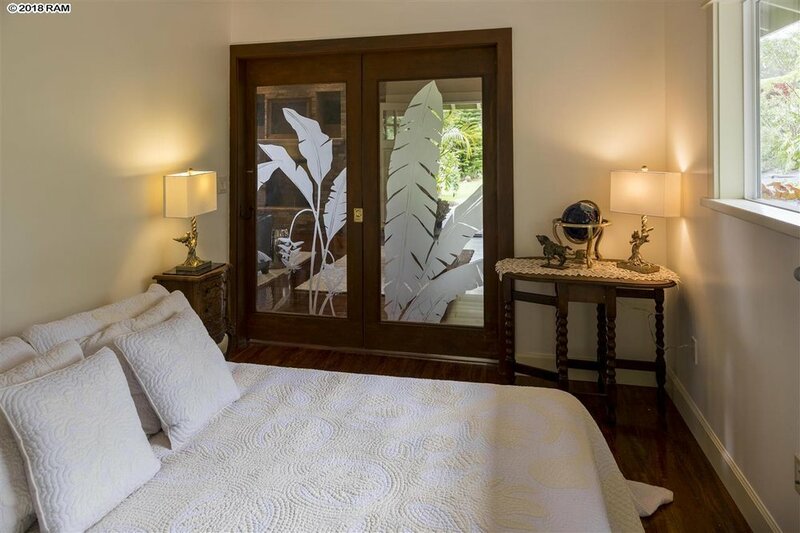 There are exquisite, custom, etched glass doors separating the living room and one bedroom. The high ceilings and beautiful paint create a relaxing atmosphere. 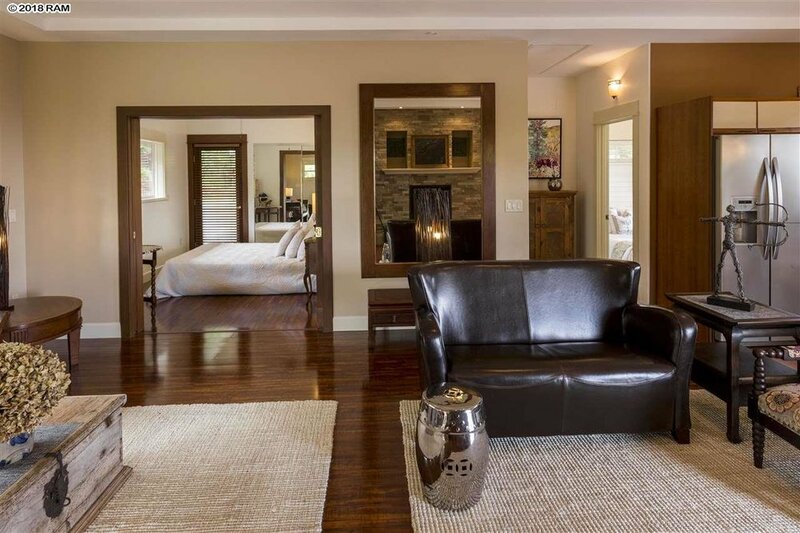 Both bedrooms open to the great outdoors, which you will LOVE! 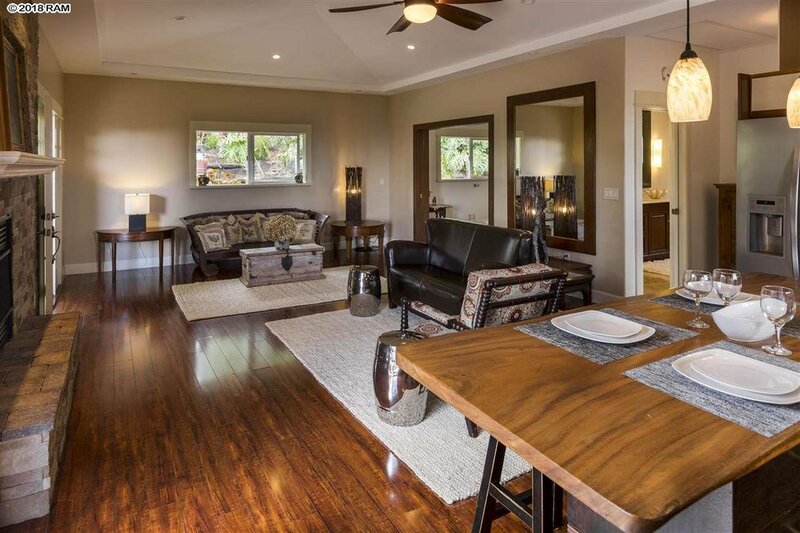 This is 950 sf of perfection, not far from Maui's greatest little cowboy town and Seabury Hall, in Makawao's upland forest of Olinda!